MMRDA Recruitment 2018: The Mumbai Metropolitan Region Development Authority is going to recruit the candidates for the 15 Steno-Typist, Assistant Legal Adviser posts under MMRDA Recruitment 2018. Those who are interested may apply before the last date 24th August 2018. For more details like mmrda.maharashtra.gov.in eligibility criteria and MMRDA selection procedure for Steno-Typist, Assistant Legal Adviser, candidates are advised to visit the MMRDA Recruitment 2018 article or log in to the official website and go through the recruitment notification. For all the various relevant information regarding this MMRDA Latest Jobs 2018, candidates should keep on visiting our site Freshersnow.com. The applied candidates will select by the performance in Written Test and Interview. The total number of Steno-Typist, Assistant Legal Adviser vacancies is 15. Candidates should note that the MMRDA Recruitment 2018 applications have to be submitted online on the official website of Mumbai Metropolitan Region Development Authority. The MMRDA Recruitment 2018 Official link is given at the end of the post. All the essential details like educational qualification, pay scale, age limit, etc. are mentioned in the below sections. This is an excellent opportunity for job seeking candidates to work in Mumbai Metropolitan Region Development Authority. In this article, we are going to equip a precise opportunity that is available in the MMRDA Recruitment 2018. Any eligible candidate those who aspire to join in any of the Steno-Typist, Assistant Legal Adviser Vacancies are required to register themselves by check in to the official website of Mumbai Metropolitan Region Development Authority. There is a massive competition for Steno-Typist, Assistant Legal Adviser Openings. Who possess 12th or Bachelor’s Degree in Law are eligible to apply for the MMRDA Recruitment 2018. Those who have a dream to work in Maharashtra State can clutch the valuable offer. To avoid last minute rush, it’s better to hurry up all the candidates apply before the due date. In the below portions, you can get much data related to age relaxation, Important Dates, MMRDA Application fee, selection process, pay scale, etc. Candidates should have done 12th or Bachelor’s Degree in Law from the recognized Organization or Board. 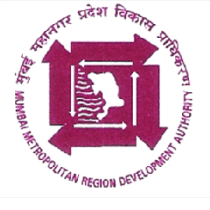 Log in to the official website of Mumbai Metropolitan Region Development Authority that is mmrda.maharashtra.gov.in. Visit the latest Vacancies section on the homepage. A new tab will open and there search for the recruitment section. Find the MMRDA Recruitment 2018 Notification. After filling the valid details and upload the documents which were asked by the Mumbai Metropolitan Region Development Authority members. Recheck once then click on the submit button and download MMRDA Recruitment 2018.